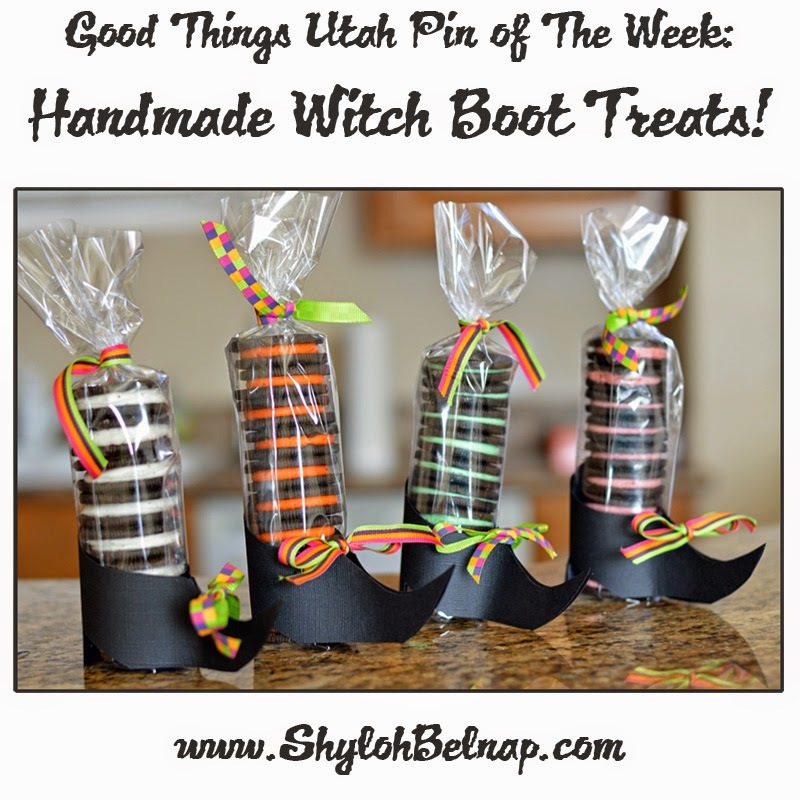 Shyloh Belnap: Oreo Witch Shoes! Assembly is EASY which makes this fun little treat spook-tacular! Wrap 8-10 Oreos in cello wrap. I taped it on the sides so it would be the exact size of the Oreos and tied a ribbon on the top. Cut out the black card stock using the template on the original pin. Punch holes to tie the shoe together. 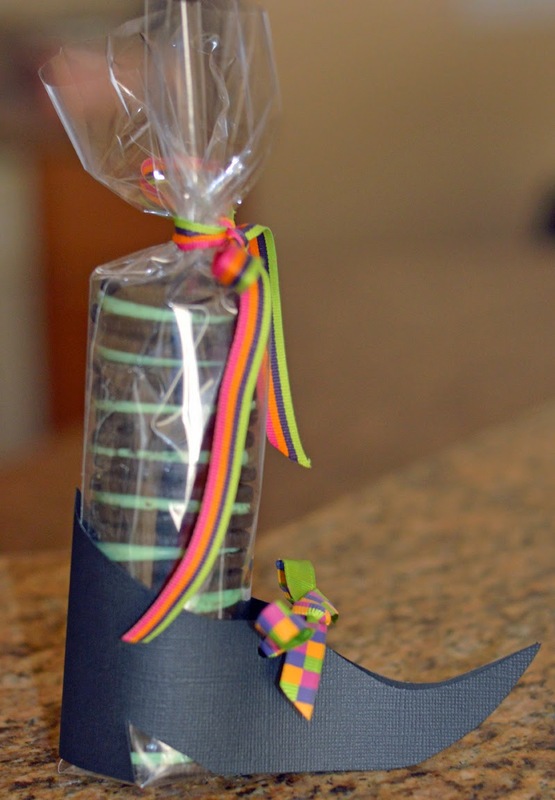 Use ribbon to tie the shoe together and insert the sleeve of Oreos! I love your ideas! You are one of my favorite presenters on GTU!